I had a good day on the bike. The last half of August and September is about intensity as I peak for Furnace Creek 508. I did Food Park for the first time. There were a few sketchy riders and they ran a few stops signs in the residential area. In my opinion, the right turns on red were questionable as well. I do have concerns about the overall safety of this ride. I am a huge proponent of safety on the bike. When riding alone I stop at EVERY stop sign and every light. I have an internal conflict with the way groups ride in urban areas. On one hand, I don’t want to be unsafe and on the other I don’t want to get dropped or cause a crash if I’m the only one stopping at a traffic control. I guess that’s why most weekends you can find me riding solo in the mountains. As an Ultra cyclist I don’t ride in packs. Many of my races break up pretty early and the other races are non-drafting. I felt my pack riding skills were fine. In other words I felt comfortable and not the sketchy rider people had to yell at — “hold your line!”. My sixth sense for the flow of the pack was spot-on. I didn’t miss a thing. I ignored many attacks that I sensed wouldn’t amount to much but wasted energy. What helped the most was marking Jason Bausch the whole ride. His experience helped me make efforts at the right times and conserve at others. Even when attacks went up the road he was steady. I learned a lot from him today. JB was gracious enough to take a picture with me. I took the picture for my son. My not quite 5 year old son has been watching the Hard Road DVD for about 1 1/2 years. He loves the soundtrack and always remembers the roll call of the teams– Mercury seems to stick out for some reason. After my shower and my recovery meal it was time to put on my Skins Travel and Recovery tights. I’m planning on doing Como Street tomorrow. A fast recovery and fresh legs will be necessary to keep up with those boys. 7.90 w/kg for one minute a new PR. then the last 30 secs (when I should’ve been fading) I still put out a 553 avg. 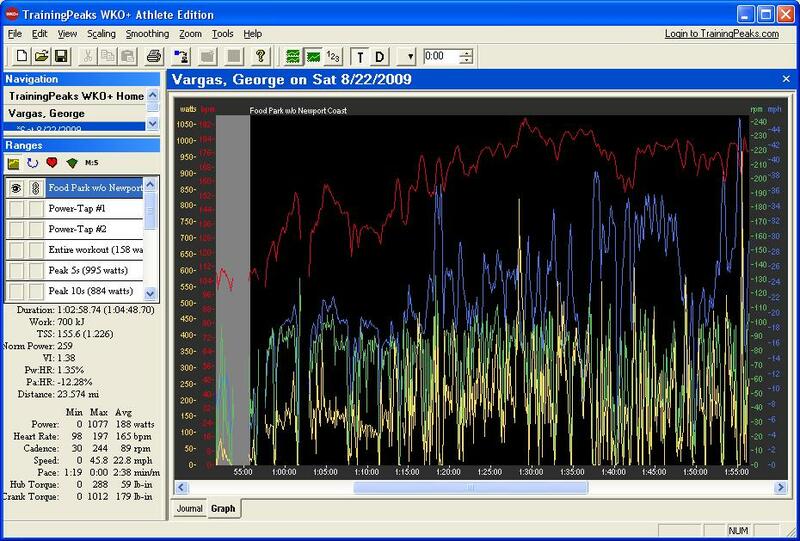 ALSO HAD A MAX SPRINT OF 1077 WATTS OR 15.93 w/kg and a 5 sec of 995 watts or 14.72 w/kg good for mid cat four on the Power Profile chart. 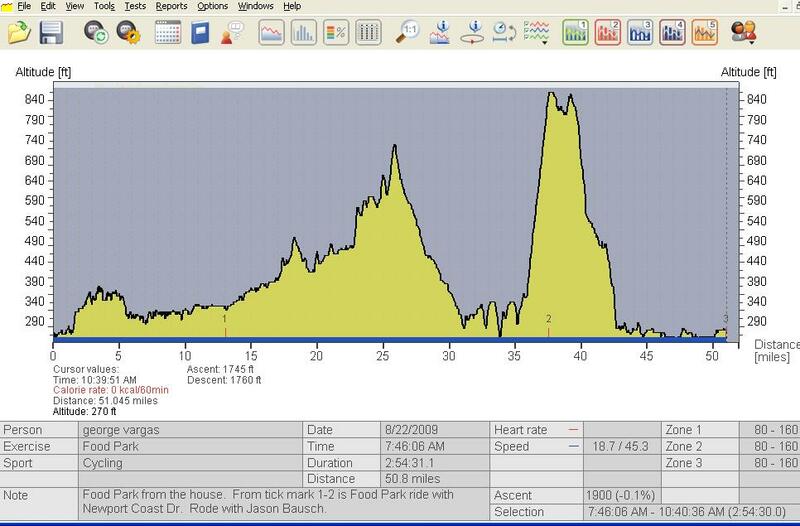 This entry was posted in Furnace Creek 508, High Intensity Training, personal records, power training, Pro Sightings by REV Cycling Directeur Sportif. Bookmark the permalink.